The use of flow metering devices in fire pump installations has been gaining popularity over the years. Flow meters are devices installed in a water pipe that, if installed properly and in accordance with the manufacturer’s instructions, will provide a visual reading of water flowing at any given moment. By holding a set flow by use of a downstream throttling valve, a large gauge will illustrate the specific flow. Many people prefer to use flow meters in a return loop from the discharge of a fire pump back to the suction of the fire pump. By doing so, they are recirculating all of the water and allow for measurement of water flow all in one place — the mechanical room. While it is possible to use flow meters in any location desired, for the purpose of this article we will address flow meter installations in the common recirculating return loop. It should be pointed out that the discharge pressure of a fire pump is lost once the water passes through a circulating flow meter loop. You will end up with equalized suction pressure by the time the water is returned to the fire pump suction. Demonstrating this, however, is outside the scope of this article. 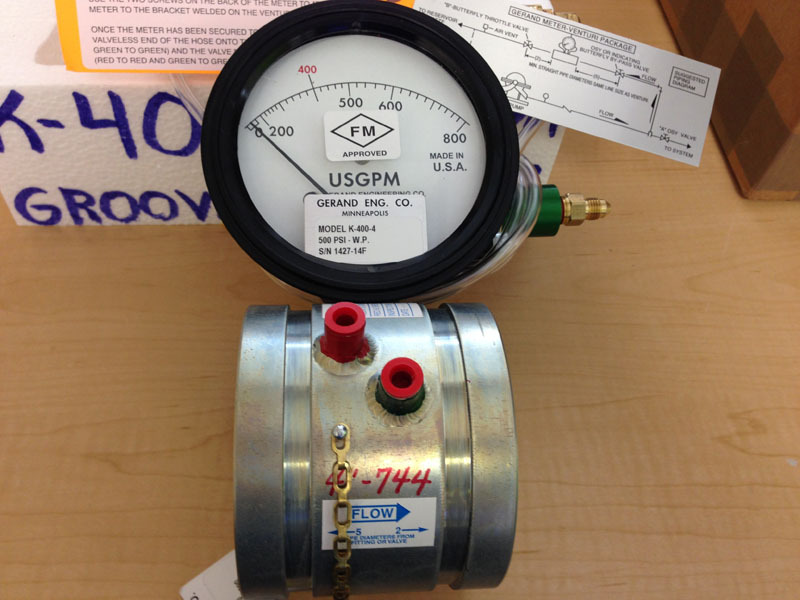 The size of a flow meter is dictated by the fire pump rating in GPM, as referenced in NFPA 20 (2013) Table 4.26 (a) and 4.26 (b). Depending on the manufacturer of the flow meter, a minimum amount of straight pipe is required both before and after the device, so as to minimize water turbulence, and maximize the accuracy of the flow meter. Always follow manufacturer instructions regarding the proper use and location of a flow meter. By using a flow meter to test a fire pump you solve many of the problems encountered with the use of a hose valve manifold. With a properly installed flow meter loop, you do not need as many people to perform a test. Often times you only need one qualified person to throttle the recirculating water by closing a valve on the downstream side of the flow meter in order to control water flow. Determining water flow is then simply a matter of reading the flow meter gauge. Once that flow is controlled and the water is measured, other pump data is recorded while the pump is running — such as the suction and discharge pressure gauge readings, pump rpm, voltage and amp readings on the controller. While all of this is happening, very little water is lost, since the water passing through the pump is returned to the pump suction. 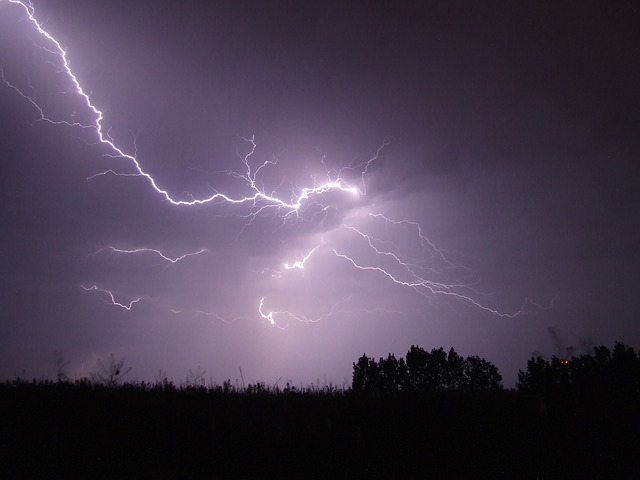 If your flow meter loop is located indoors, you can also avoid the problem of inclement weather that can postpone or prevent a proper fire pump test, as the entire test can occur within the confines of the mechanical room. But before you decide to replace your external hose manifold with a flow meter, keep in mind that many fire pump flow tests are performed with the intention of verifying not only the fire pump performance, but also the water supply. Testing solely through use of a recirculating flow meter, you are not learning anything about the water supply at all — you are just recirculating water around the pump. While that will measure the pump’s performance, it will tell you virtually nothing regarding the water supply itself. For example, if you have any water obstruction upstream in the suction line, your test data while using a flow meter loop will not detect any problems in the suction line upstream; however, that same obstruction will be evident if flowing water through a test header outside, as the suction pressure will drop off dramatically as water flows during the test. An exception to this would be if your flow meter loop terminates to a water storage tank as opposed to the suction line immediately upstream from a fire pump. Another exception to this would be if the flow meter return line was connected directly to the suction source — like a water storage tank, for example. In this case, use of a flow meter could test both the fire pump performance and water supply simultaneously. Another challenge in many flow meter installations pertains to “needle jump,” a condition where the visual gauge of the flow meter moves constantly — jumping back and forth due to the turbulence of the water passing through it. If you are after precise water measurements, you are unlikely to obtain them with turbulent water. So it is wise to size the flow meter return loop with as much straight piping as possible, and perhaps with a line size large enough to slow the water velocity down. We have found that the best installations allow for an external hose valve manifold to allow for a full flow test, which tests both the fire pump and fire pump water supply. A flow meter loop could then be used for interim tests, where discharging water outside is neither feasible nor necessary. A flow meter certainly is more user-friendly and convenient, but not as accurate or as useful as a full water flow test.